Introducing the 26mm Stillare RDA clone. 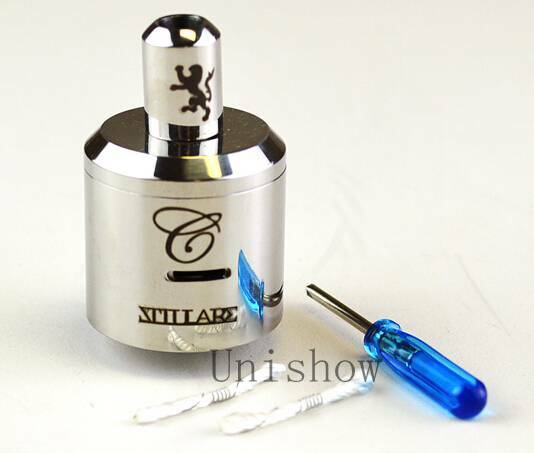 The rebuidable drip atomizer is made from a stainless steel material, has five brass posts. The 26mm diameter and 510 threading connection allows to sit flushed with most mechanical mods or devices to provide a superior vapor production. The cylcops style slits defines the adjustability for your air hole and each Stillare atomizer is equipped with an engraved logo and individually numbered.